Your lead must fill out a form to access the date, their information is stored in our CRM. You and your lead will get an email notification of the report to review. 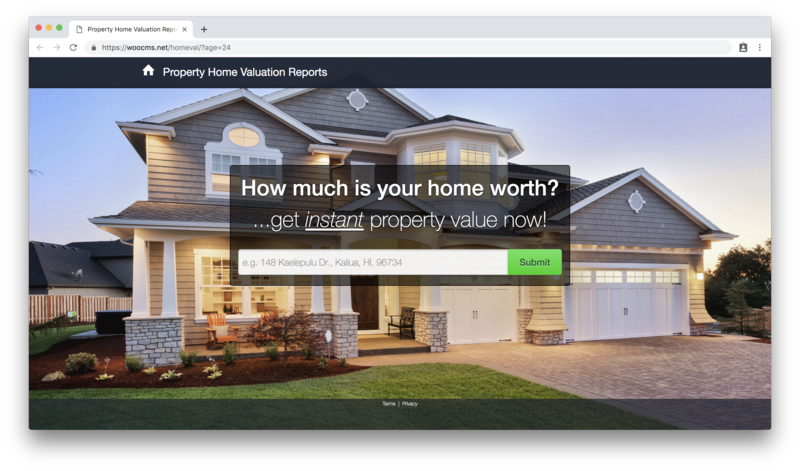 With the Home Valuation Tool, you get a beautifully designed home search page that you can link on your website. This page allows your leads to search for their homes for the system to do a valuation on. 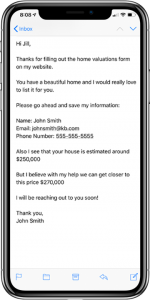 With Google and Zillow APIs, your leads will get current and accurate information about their home! 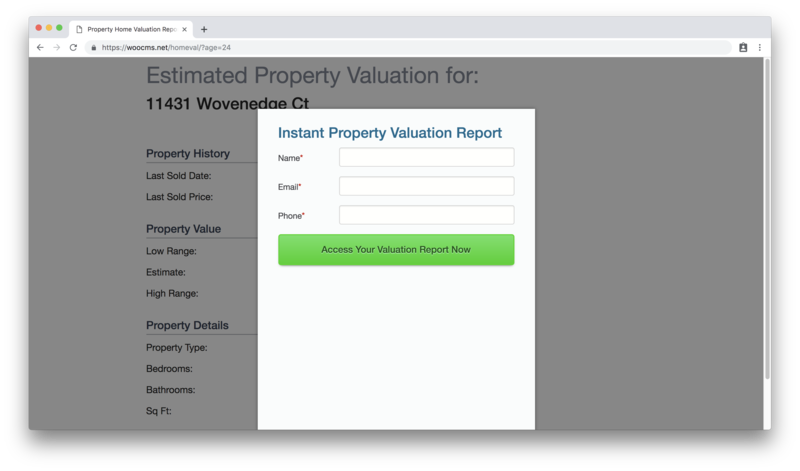 With a lead capture form build into your Home Valuation Tool, you will never miss out on a lead again. Your lead must fill out the form before accessing the information on their home. The form asks for their name, email, and phone number. The lead’s information from the form is automatically synced into your CRM dashboard. Reports are displayed on their screen to see and review. Also, an email will be sent out to the lead and you including the report.